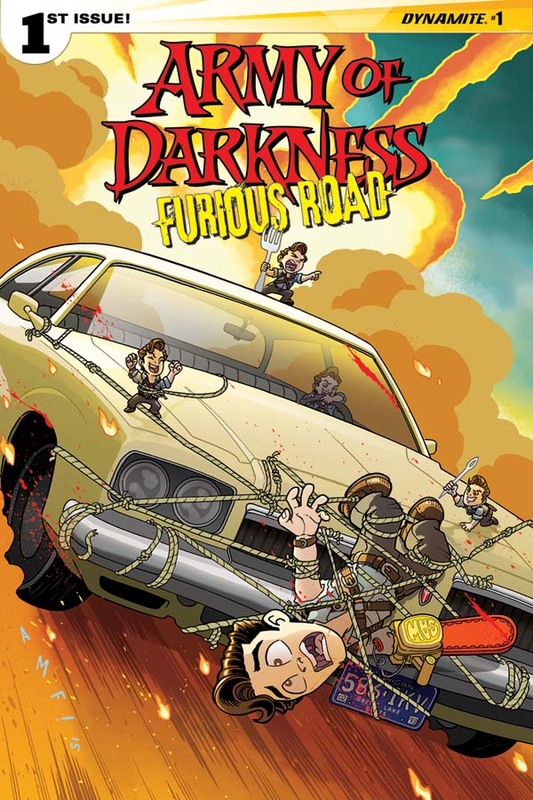 Hot on the heels of Ashley “Ash” Williams’ return to pop culture prominence on the small screen, Dynamite Entertainment releases the next chapter of its flagship title in Army of Darkness: Furious Road. 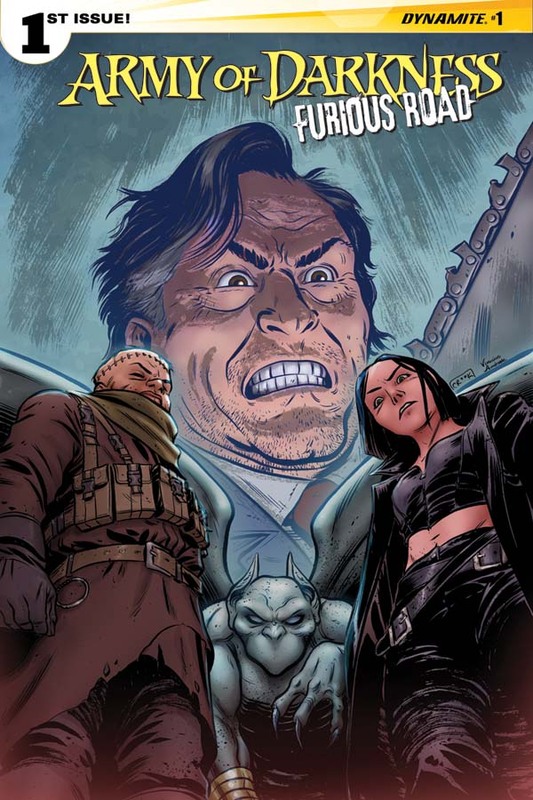 Nancy A. Collins casts the square-jawed hero of Army of Darkness twenty years into the future, where The Deadites and their Army of Darkness have succeeded in bringing down Western civilization. An unexpected upshot of the demons taking over? 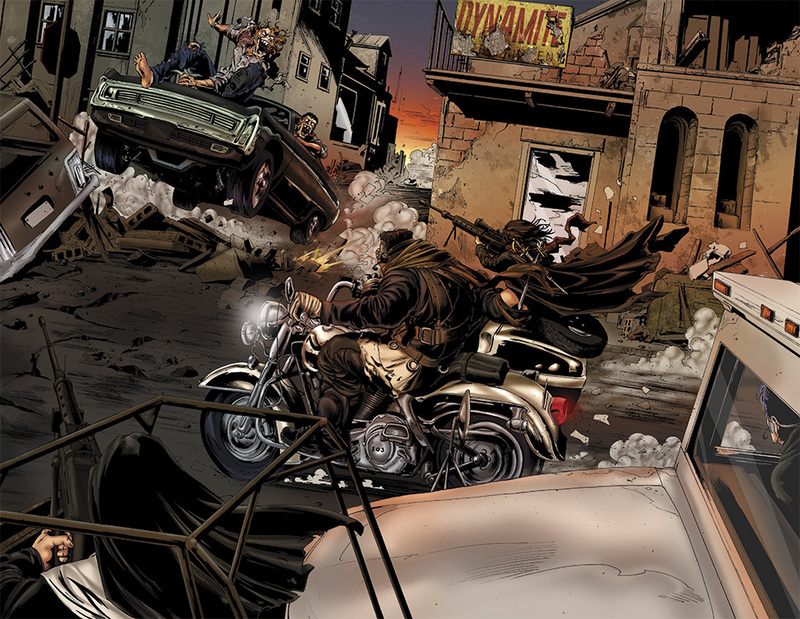 Supernatural species such as vampires, witches, and werewolves forming an uneasy alliance with humanity in order to survive. 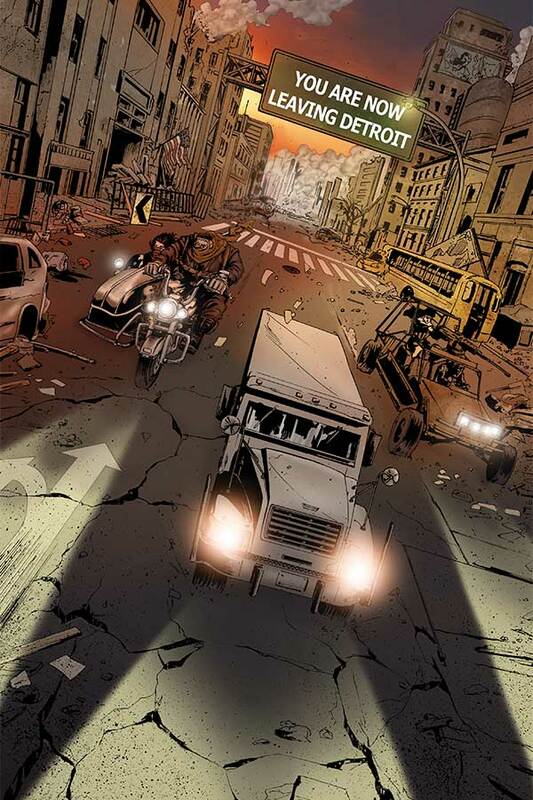 The only hope for both mankind and monsters alike is a ritual that will send the Deadites back to the hell that birthed them. 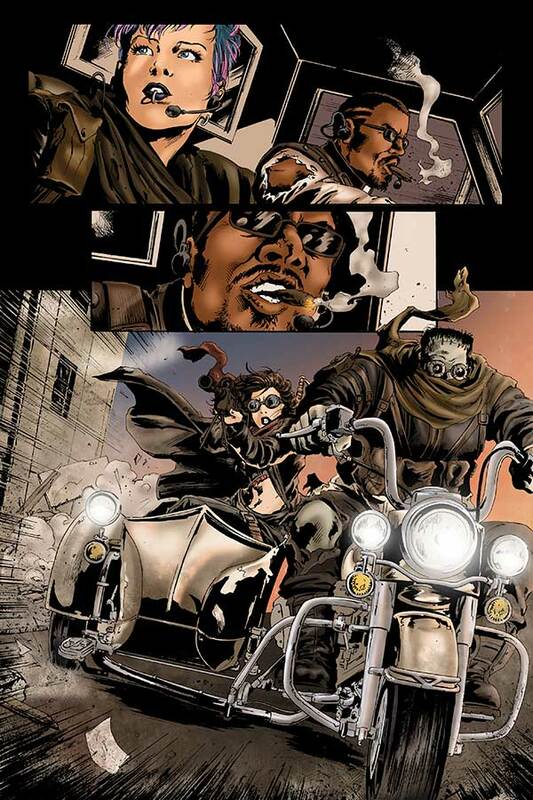 But first, a rag-tag crew that includes the Frankenstein Monster and Eva, the Daughter of Dracula, have to track down the fabled spell book known as the Necronomicon Ex-Mortis and deal with its guardian, a certain Ashley “Ash” Williams. 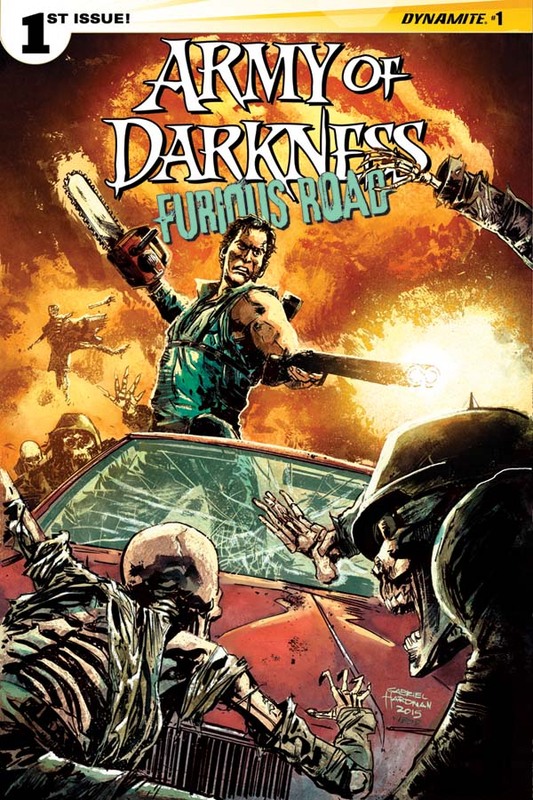 “Nancy Collins has crafted the perfect Army of Darkness story, putting Ash squarely into a post-apocalyptic world over-run by Deadites, where his only allies are horrific. 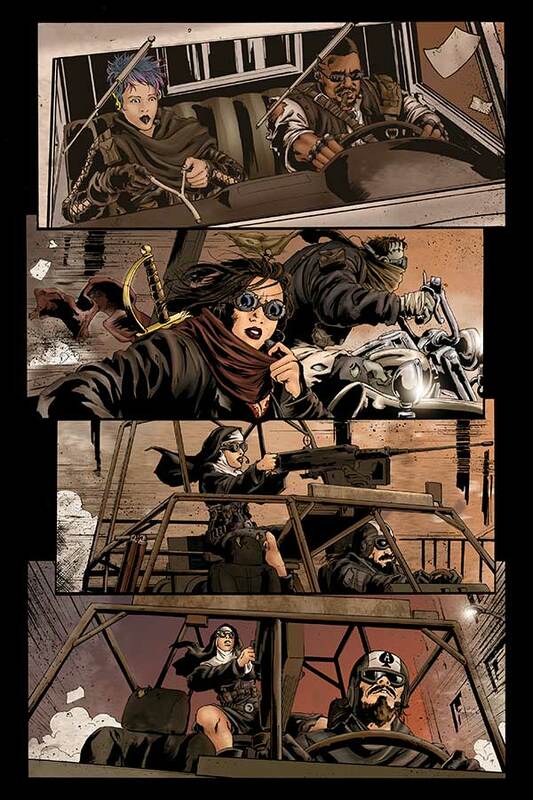 Plus: Dracula,” says Dynamite Entertainment editorial director, Joe Rybrandt. 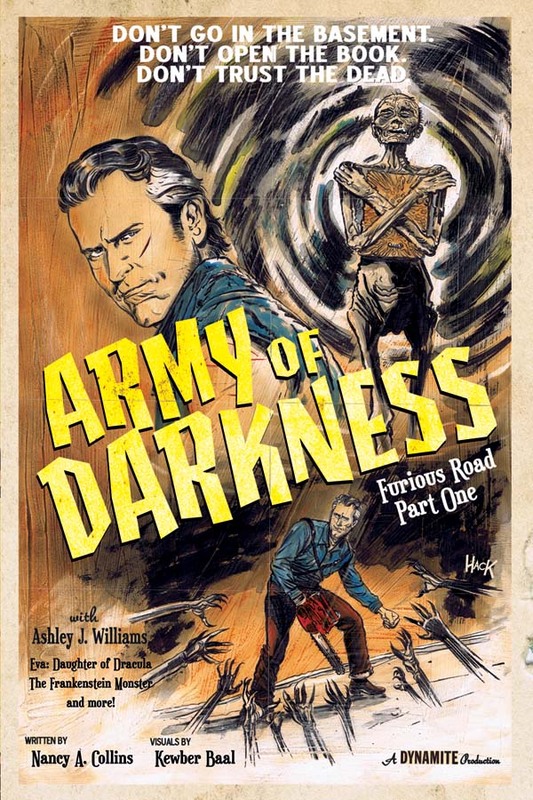 Army of Darkness: Furious Road features art from Kewber Baal (Jennifer Blood), and will host multiple variant covers by Tyler Crook, Gabriel Hardman, Francesco Francavilla, and Tony Fleecs! Consult your retailer for details on how to attain yours! 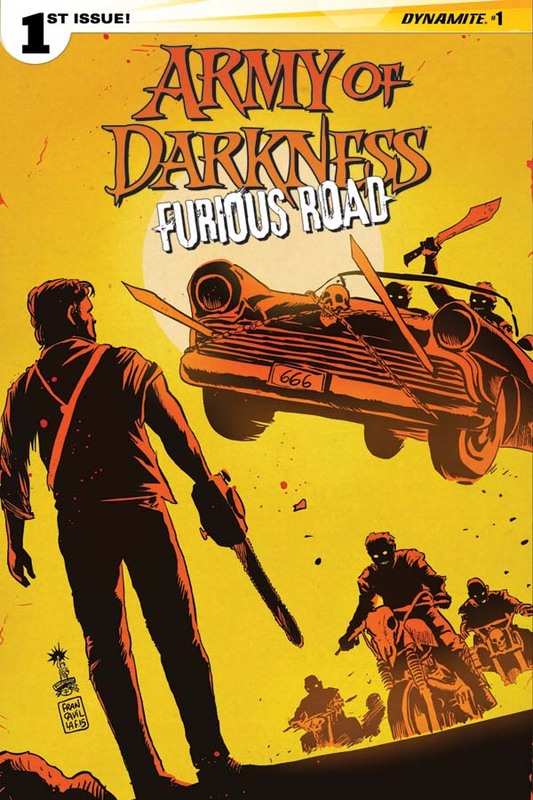 Look for Army of Darkness: Furious Road at your local comic shop on March 2!